Dallas Flower Crown Parties Request Form Here. 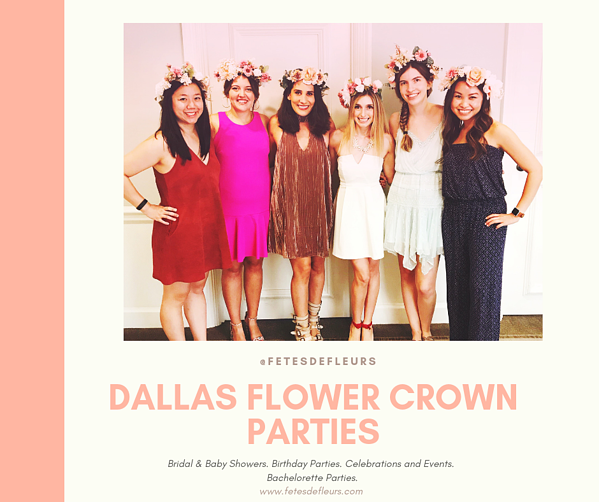 Request more information about hosting a Dallas bachelorette party with Fetes de Fleurs or a flower crown bar/ flower crown workshop with us in Dallas. Dallas has so much to offer for so many different kinds of brides, brides to be and ladies groups in for the weekend! Don't forget the locals too. With all of the various neighborhoods inside and surrounding Dallas, you can find almost anything you would want to do for your bachelorette or girls weekend in Dallas. From delicious food and drinks, to the most exciting dance floors and roof top bars, Dallas will not disappoint. 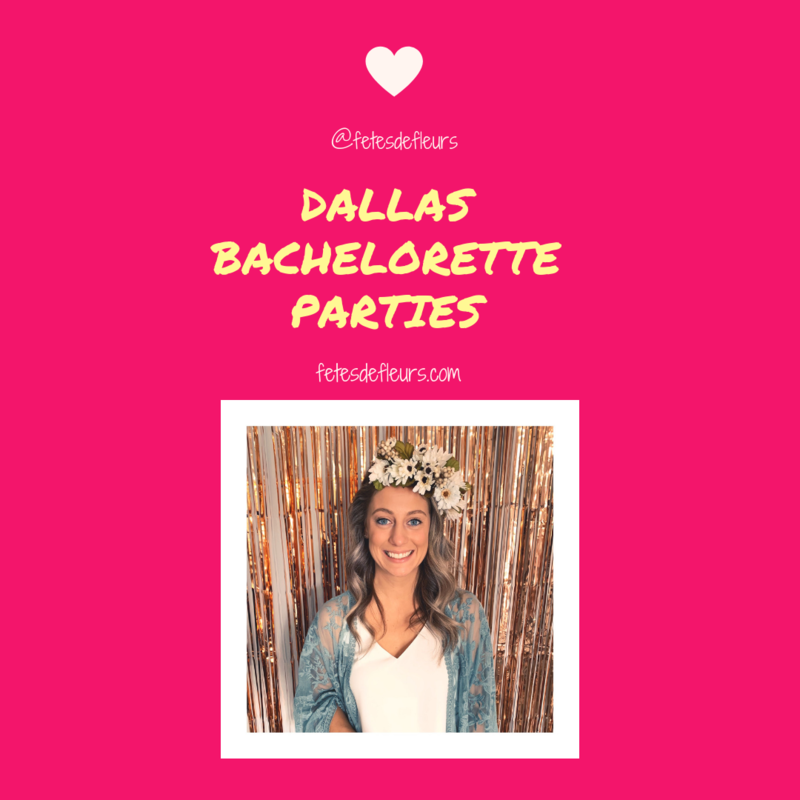 On top of all that, a flower party is a great addition to any bachelorette agenda in Dallas to really bond with your girls, and then go show them off at all the hottest spots in the city! As a Dallas native, I feel it as my civic duty to inform every person I meet of all the unique things this beautiful city has to offer. Growing up in a suburb of Dallas had it perks (blog post to come on the best Dallas neighborhoods and suburbs to visit as well), but I didn’t get to truly experience all that the city has to offer until I was able to move closer to downtown Dallas. So now that your tribe has gotten past the, “Well, where do y’all want to go?” and “I don’t know, you pick.” “...I don’t know.” Because you all picked the best place ever, Dallas, Texas! LET’S TALK ABOUT WHERE THE HECK TO STAY. This past Sunday was a day for the history books for our business, Fetes de Fleurs, as the FIRST DALLAS FLOWER CROWN PARTY TOOK PLACE!!! After only launching in Dallas a couple months ago, finally getting to showcase everything Fetes has to offer was so exciting! 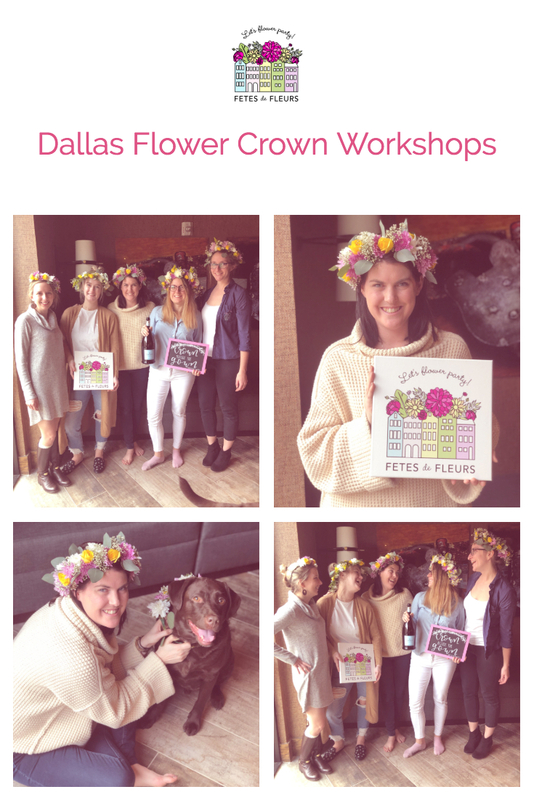 We can't wait to have more floral parties with the Dallas area in the weeks and months to come. 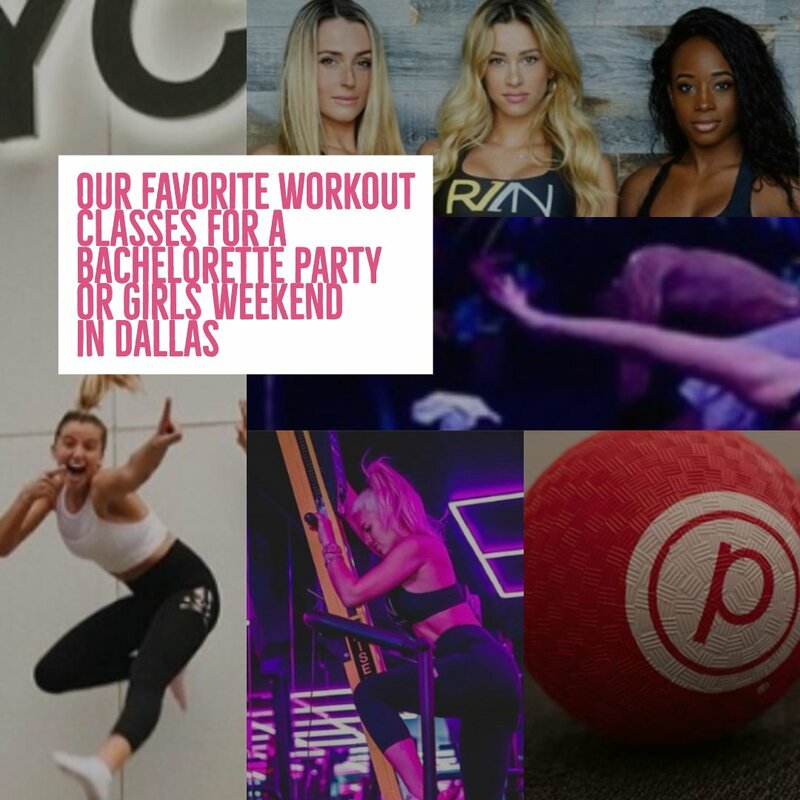 This is a great activity for bachelorette parties in Dallas, bridal and baby showers, birthdays, girls nights in, and many other celebrations. So just reach out by filling out our Dallas flower parties form here and we can help you have a fun night with a floral activity making something beautiful with friends. When Dallas is your backdrop for the best bachelorette party ever, you’re going to need to know what bars to take your bride to. We’ve already gone over the best neighborhoods to stay in so my list will be organized mostly by that (link to past post), but always remember everything in Dallas is just a 15-20 minute Uber ride away. That’s one of my favorite things about this city; you can do a million things in one day because everything is so close to each other! 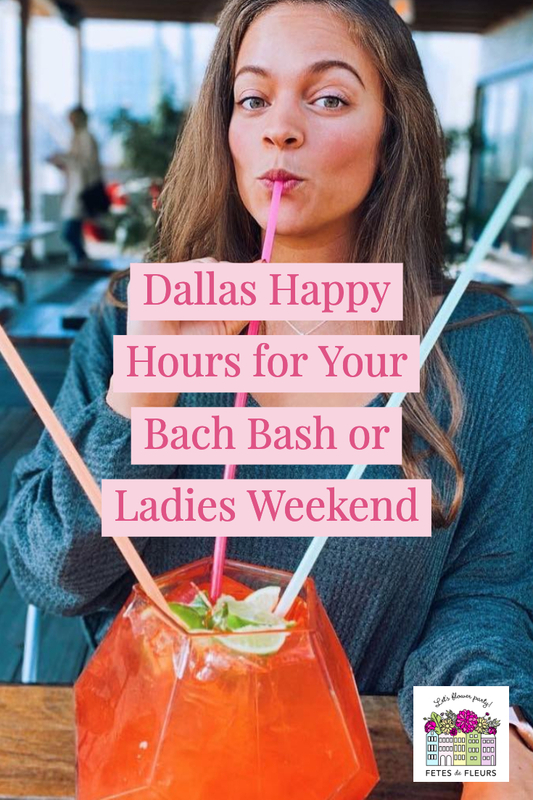 So check out my favorite bars in each of the hot Dallas neighborhoods and get ready to party the night away with your girls! We think workout classes are always a fun way to get everyone together and get ready for an awesome weekend with your bride tribe or besties. You don't even have to be a fitness enthusiast to enjoy workout classes these days, just go in with an open mind ready to have some fun with your best friends. Every city that we have flower party hosts in has awesome choices when it comes to workout classes or group fitness classes. We also know that a lot of our bride tribes like to have a theme for their bachelorette parties and one that we see a lot of is, "Sweating for the Wedding!" We think that if you add in some workout activity to your weekend away you don't feel as bad for unwinding, drinking and eating your way through that city!